I have a few philosophies when it comes to being a real estate agent: (1) Go The Extra Mile With Service (2) Be There When Clients Need Me (3) Explain The Process Of Buying And Selling In Clear Terms (4) Always Look Out For My Clients' Best Interest, NOT My Own (5) Follow Through From Start To Finish. Call me at 507-420-4005 if you're looking for a realtor who cares and can get the job done! "Patti did a great job, stage the house, kept us informed about how the showing went. brought three offers in one night. we also got our asking price. 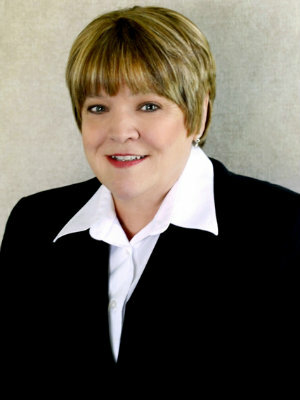 Would highly recommed Patti for selling or buying a home." "Patti Pherson is by far the best real estate agent I have ever had the pleasure to work with ~ both as a buyer and a seller. I had such a good experience with her when I was a buyer in the mid 1990s that she was the ONLY listing agent I ever considered when I was ready to sell my home recently. She is a true professional. She knows the market, knows the selling process inside and out, stays on top of every detail and communicates very effectively. She truly keeps your best interest in mind at all times. I trust her 100% and best of all, she gets results!!" "I had never sold a home before, so had very little knowledge of the process or legalities involved. Patti walked us through the entire process. She is honest and up front so we were able to price the home right and went from listing to close in less than 2 months. She helped us navigate additional issues related to the property with professionalism and expertise. Her communication skills are amazing and we always felt as though we were her number 1 priority. Could not have asked for a better agent!!!!" "Patti helped us buy our "forever" home. The process took TWO years, and even included one closing falling through days before hand. She never made us feel like she was frustrated with us. She was very compassionate when our dream home fell through, and then found us the perfect match days later. She knew us well enough to know which house would be a perfect fit for us, even though we had told her several times that we just weren't interested in it based on the photos. She convinced us to just take a peek, and the second we walked in the front door we KNEW we were HOME!! Patti is awesome! Even a year later, anytime I see her out and about she asks about me, my husband, and even remembers our kids names! Thanks, Patti! We love our home. Buying a house with her was an awesome experience. I refer everyone I know looking for a house to Patti."